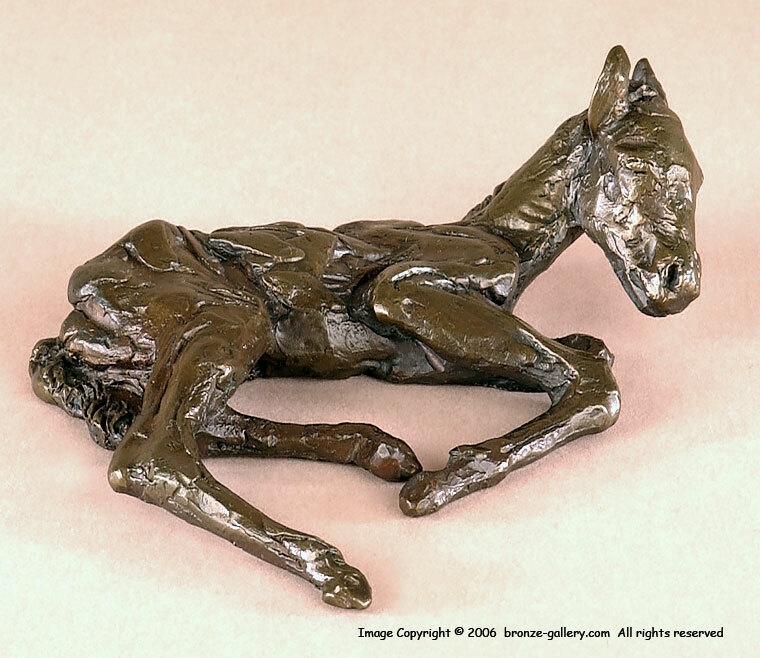 Una Hanbury was born in England in 1904 and studied under the animal artist Frank Calderon, and later under Jacob Epstein at the Royal Academy. After WWII, she moved to the US, and settled her family in Washington DC where she sculpted animals and human portraits including busts of Rachel Carson, Georgia O'Keefe, and Andres Segovia. In 1970, she moved to Santa Fe New Mexico where she became quite well known. This bronze titled "New Born Foal" is a fine sensitive work, it is signed UNA and numbered 26 of 30. It is pictured in Broder's book "Bronzes of the American West". Her bronzes are quite scarce, they were cast in small editions and rarely come on the market.